My maternal grandmother lived into her eighties, her last months bed-bound in a nursing home. Up until the end, she cared about her appearance and insisted she have her hair and makeup done. I couldn’t imagine what comfort she found in the mirror’s reflection of sparse hair and time-eroded skin and features. Almost twenty years later, the image I see in my own mirror appears decades younger than the person who looks back from a photo of myself snapped moments before. The permanent self is an illusion. 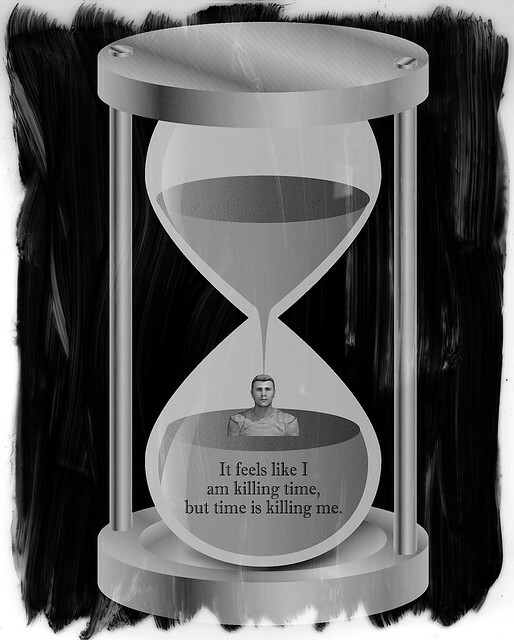 It feels like I’m killing time, but time is killing me.